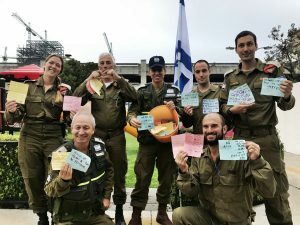 UPDATE: September 28 … Israel Saving Lives! 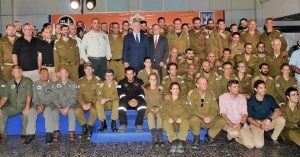 Prime Minister Netanyahu welcomes home #IDF aid mission to #Mexico. UPDATES: September 27 … Mexico’s Sec. of Foreign Affairs, @LVidegaray, thanked the #IDFAidToMex for their work to help the people of Mexico in their time of need. to buildings that were evacuated. #IDFAidToMEX delegation will survey 1,000 buildings! “Thanks for coming to help! Shana Tova! Here in Mexico, everyone thanks you.” – Mexican children wrote notes to the #IDFAidToMEX delegation. 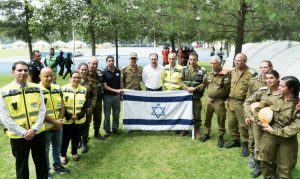 #IDF Aid team @ #Mexico working 24/7 saving lives. Israel MFA team in Mexico. 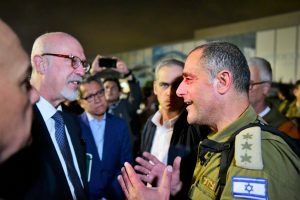 Center – Israel’s ambassador Jonathan Peled. 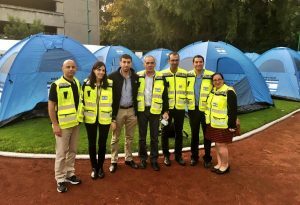 UPDATE: September 21 … A short while ago, the IDF aid delegation landed safely in Mexico City and will soon begin their mission in coordination with local authorities. 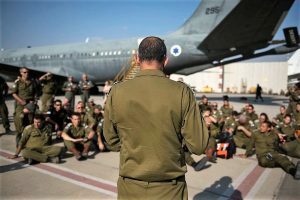 Jerusalem, Israel — September 20, 2017 … Just hours before the celebration of the Jewish New Year (Rosh HaShana) Prime Minister Netanyahu directed the Israel Defense Forces to send a humanitarian team to Mexico. Over 230 people, including at least 21 schoolchildren, are dead after a magnitude 7.1 earthquake slammed central Mexico on Tuesday afternoon. 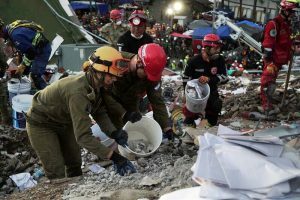 Yesterday’s lethal earthquake was centered about 75 miles southeast of Mexico City and caused extensive damage, leveling at least 44 buildings, including homes, schools and office buildings, according to Mexican President Enrique Pena Nieto. 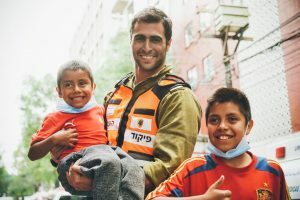 Israel Defense Forces – Saving Lives! 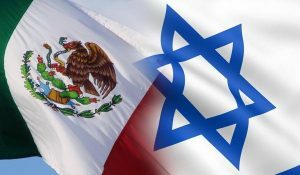 Lt. Col. Jonathan Conricus, a senior IDF spokesman said the delegation is expected to arrive in Mexico on Thursday morning. He says the delegation’s main effort will be to provide engineering assistance. 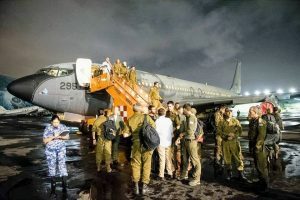 Seven years ago, the Israel Defense Forces deployed an emergency field hospital and search and rescue teams to Haiti following a devastating earthquake. The IDF hospital served as the only fully functioning hospital on the Caribbean island saving hundreds of lives. 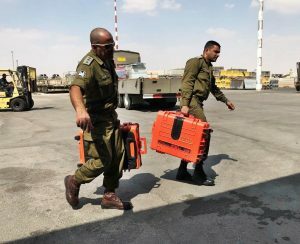 Conricus said that the IDF and the State of Israel will continue to assist in the aftermath of any disaster worldwide that requires Israel’s experience and abilities.